• Traffic and infrastructure such as highways, sea ports, airports, railways. • Construction works such as raising of new buildings, road and tunnel construction. • Industrial noise from factories, chimneys, power stations, mining and wind power turbines. • Recreational activity including race tracks, concerts and festivals, bars and pubs. •	Listen to recorded events! •	Get notified by email or SMS when set thresholds are reached! The Nor1530 noise monitoring terminal is a robust, cost efficient solution for your outdoor noise monitoring. Equipped with the class 1 Nor140 sound level meter and latest generation communication modules, noise data can be reliably and securely transferred to your office. Even a file containing the recorded sound of an event can be evaluated for source identification. The system can be self contained, or remotely controlled by the powerful noise monitoring software NorMonit. 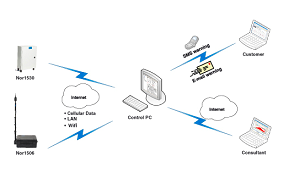 If set up to communicate with NorMonit, the unit can provide real time data, automatically detect noise events and send email or SMS when threshold limits are breached. Meteorological data can be logged in parallel with the noise data. Your measurement data can be presented and post processed in NorReview software, or accessed from anywhere through a web browser thanks to the NorWeb software. A number of noise monitoring terminals can be controlled by a central server running NorMonit. The Noise Monitoring Terminal can also be delivered as portable case model (Nor1506). The Nor1530 noise monitoring terminal is designed to be a robust and cost effective solution for collection of noise data. 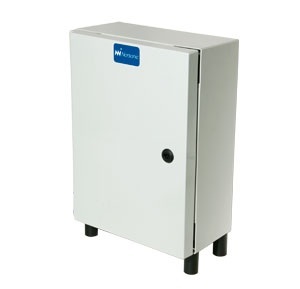 The built in backup battery will ensure un-interrupted power supply even with mains failure. Noise data is measured using the Nor140 sound analyser, which has been independently type approved by PTB (the German national metrology institute) and complies with IEC 61672 Class 1. 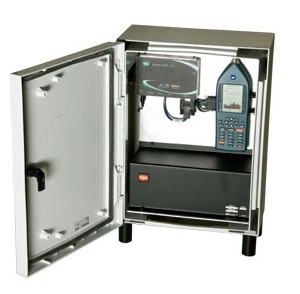 The sound analyzer can also be taken out of the cabinet and used as a stand-alone sound level meter. The Nor1530 can be an autonomous installation where the measurement data is stored in the Nor140’s SD card, or it can be connected to a network through LAN cable, Wifi, Bluetooth, ADSL or a cellular modem (GPRS, 3G, HSDPA/UMTS). Thanks to advanced trigger features it is possible to automatically record the sound before and during an event so that the real noise source can be easily identified later.